November Knot Funny? Enjoy Comedy, without the Club. We'll have a laugh and a buffet of appetizers and small plates. Your ticket covers Jay's show and all you can eat. Seats are limited. 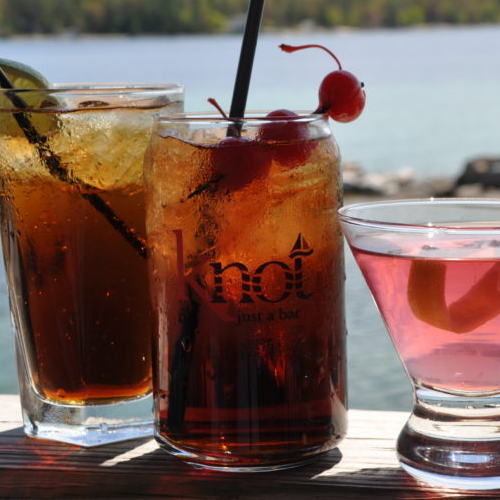 Knot Just a Bar will serve a buffet of small plates starting at 6:00. Jay Harris will start his show at 8:00. Seats are limited. Jay enjoys using sarcasm to get his point across. His interactions with everyday people and his personal quirks give him a unique perspective on life. Even so, his biggest target is himself. Jay lives in Chicago, and works full-time as a comedian, while moonlighting as a financial advisor. His dream is to work 9-5 at offices everywhere. He's worked with such comics as Billy Gardell, Andy Kindler, and Greg Giraldo, and has entertained various divisions of the Marines, Army, Navy, and National Guard. Plus meatballs, cheese & crackers, hummus, pita, the works!